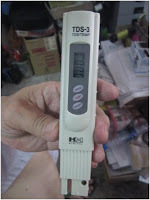 A TDS tester is critical when growing plants by hydroponics. the solution’s electrical conductivity (EC). which can help to determine when it’s time to add nutrients. feeding indications correspond with your meter.